The deep and philosophical point behind all of this? I played golf for the first time this past weekend and so am now qualified to add my own strained versions of golf jokes and somewhat golf related opinions to the blog-o-sphere. Well, I played in a golf scramble. For nine holes. But that still counts, right? Nine holes down, I’m officially a fan. Golf seems like a nice way to spend an afternoon, especially if the weather is nice, you’re in good company, have a some cold beverages, and are sporting a sweet golfing outfit. The sweet golfing outfit element should not be underestimated. Sporting events are always an opportunity to dress for the occasion and get out of one’s normal outfit box, in my opinion. My golf wardrobe is incredibly under-developed at this point, but that just means there is plenty of potential. 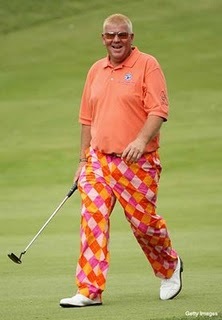 I feel the biggest challenge in a golf wardrobe is to find the balance between boring and obnoxious. Case in point… Tiger Woods’ monochromatic dirty snowman look at the US Open = boring. John Daly’s orange plaid explosion at the Open de Espana = obnoxious. It may be prudent for someone at my rookie level to care more about form and whatnot than outfits, but really, I have more important things to be prudent about. 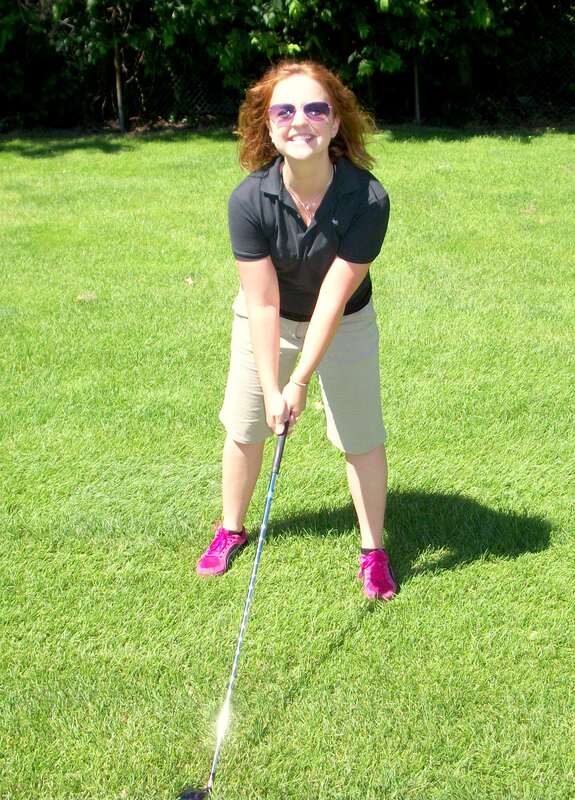 Bring on the golf skorts!